Many companies make the decision to film videos for their company within their offices. It makes sense – it cuts down on studio or location hire costs, travel costs and time taken out of the office. It also adds an authentic “on site” feel to the videos, with the ability to show staff, branding or interesting architectural elements in the background. However, for a Video Producer, shooting in your office throws up some difficulties too. Here are 9 things to think about to ensure everything goes smoothly when inviting the cameras in! Video comes with boxes, cables, lights and tripods. All are potential hazards to the staff working in your offices, and it’s crucial that you bear this in mind when you commission an in-house shoot. Your video producer should be well aware of the issues, and should keep boxes tidy and out of walkways, cables taped down and warning signs taped up. 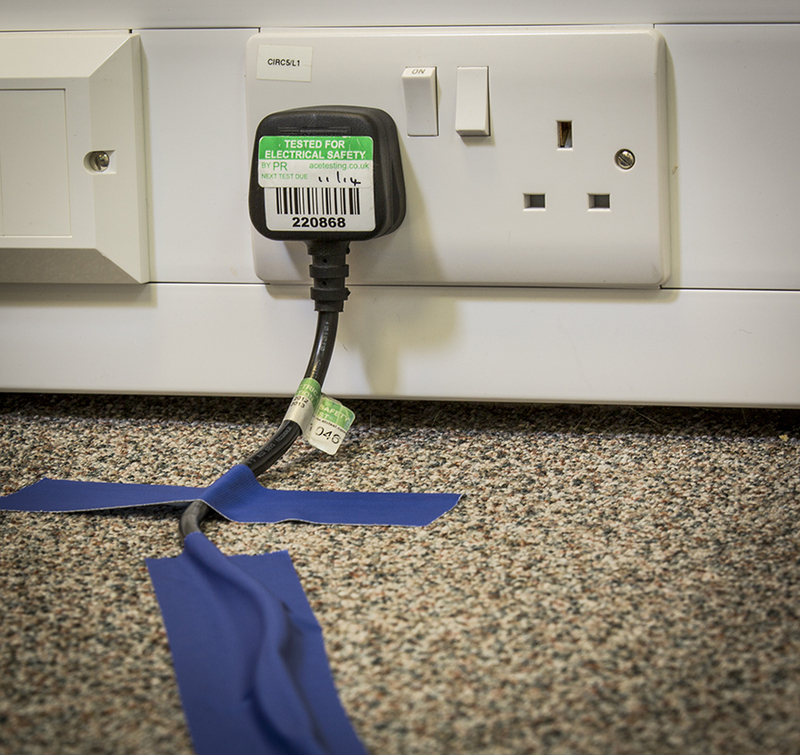 All electrical equipment (including mains extensions) need to be PAT compliant, and if there are a large number of lights needed for a shoot then a gaffer (lighting / electrical supervisor) should be employed. You’ll also need to think about moving equipment from the van outside to the room you plan to film in – is there a lift? Do you have trolleys that could be helpful? Finally, your HR department may ask for a risk assessment to be completed – this is almost impossible unless the video producer has seen the location, so be prepared to build a recce day in to your budget if necessary! Turning up on set with a van full of electrical equipment to find a room with no plug points is always fun. Your video producer should check the power supply exists before the shoot, but you can make life easy for everyone by double checking availability before the filming day. 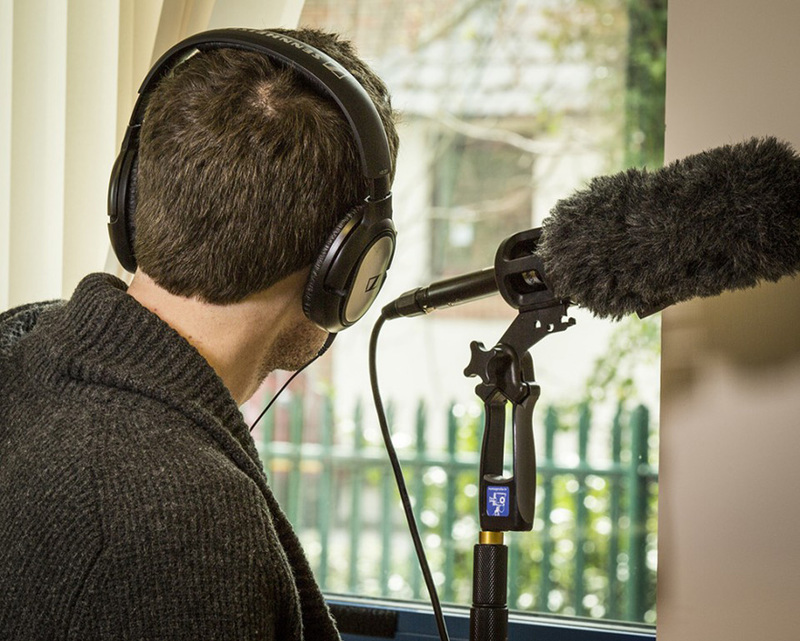 Audio is the most important part of a production, and uncontrollable ambient sound is probably the most common issue when filming on location in an office. Sit in the room you plan to film in for 2 minutes and just listen. What you initially think is “quiet” will quickly transform into a mass of air-con, the distant chat of colleagues, footsteps, photocopiers, computers and phones, sirens, helicopters and traffic. If you can hear it, so can the microphone. Of course, it can be masked with an “audio bed” of music, but the quieter it is to begin with, the better. The next most common problem is ambient light. It may be from windows that don’t have curtains / shutters, or it could be from office lighting that can’t be turned off without turning off the lighting for the whole floor. To make your presenter look as good as possible, a lighting cameraman will want total control of the lighting – both the lights they bring to the shoot, and the ambient light in the room. They may be able to drape, or gel the windows and cover over the internal lighting, but this is always a tough and time consuming job, and may result in extra expense for you. Much better to find a room with blinds and working light switches! Offices are, on the whole, dull. Occasionally there is a “google” style office with fun stuff, coloured walls and plenty of interest for backgrounds, but normally it’s a case of choosing from the plain grey wall or the plain white wall. Your video crew may bring things like lights, gobos and coloured gels to help create an interesting background on what is otherwise a very boring wall, but they aren’t magicians. Think about the atmosphere you want to create with your video, and how it could be undermined by a dull background. We’ll do what we can with lighting, but it’s always going to be hard making a plain white background look interesting (see pic left). Plants, paintings and furniture are normal ‘go-to’ items (see pic right), but feel free to get creative and think of more interesting things. Alternatively, you could always opt for a green-screen shoot and add in any background you want (see pic centre)! Your video team might be filming your CEO, who by definition, will be a busy person. They may only have 15 minutes to spare to do a short piece to camera. If this is the case, give them as much preparation as possible. Scripts, questions, a list of key messaging points, and an idea of what the finished video will look like would be a great start. It takes time to get things right – a couple of minutes to put a mic on them and check audio levels, a couple of minutes to adjust the lighting to their individual height, skin-tone, hair colour etc, they might wear glasses which could mean more lighting adjustments to remove reflections… any preconceived ideas you have of getting them “in and out” in minutes should be forgotten. Nobody does it right first time. If you can build in a little rehearsal time into your schedule, you’ll definitely reap the benefits later down the line. An edit might take longer when the editor has to find ways of cutting out mistakes and stumbles. Far better (and cheaper for you) to factor in an extra 30 minutes shooting time to make sure everything captured is as good as it can be. If you want your CEO to look their best, allow time to get things right. Allow time for multiple takes, and allow time to review the footage on site – it’s easier and quicker to do it there and then, than realising there’s something you don’t like during the edit a week later. Remembering lines is for actors. Nobody expects a non-actor to learn a script and deliver it verbatim. 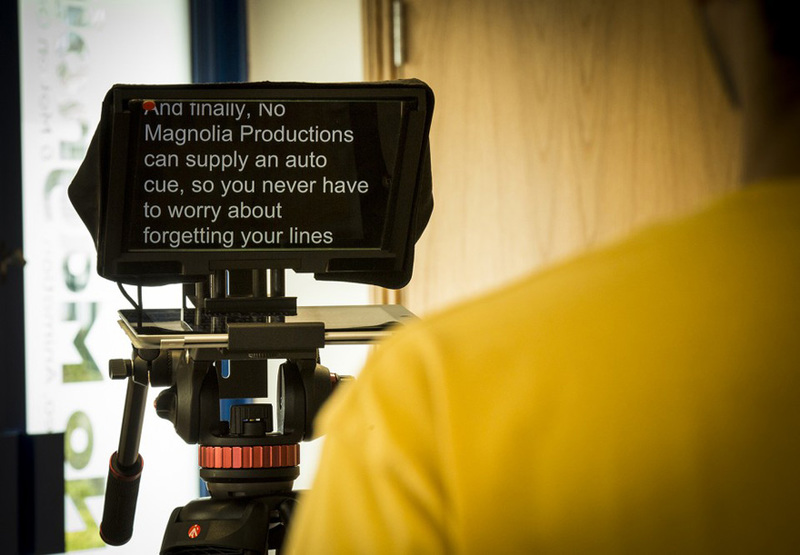 If you’re planning to have long, scripted pieces to camera, ask your video production company if they can provide an autocue. These can come as a large, separately operated unit, which can be slightly costly. Alternatively, there are now smaller units that run off a tablet app, and can do a very good job of helping a speaker remember their lines. Remember, it’s better to spend a little money to get it right on shoot day, than it is to spend a lot of money trying to fix poorly delivered lines in post-production. Video interviews can be terminally dull if there aren’t any interesting cutaways to break them up and add interest. Your video team will have ideas, but they don’t know their way around your office. Think about what might work as extra footage in your video, and go as far as briefing people who might be able to help – office staff on phones & computers, designers designing, factory workers assembling products – it all helps liven up the video, so be prepared to move around your office and film things other than the main interview. Of course, depending on your offices, there might be a few more things to consider, but this is a good starting point. If you want to know more about filming at your HQ, please give us a call on 0118 324 3500 and let us know how we can help.